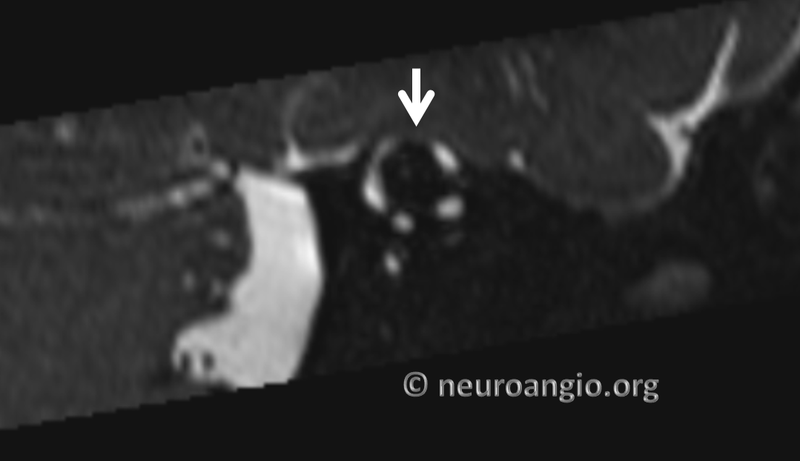 Superior Semicircular Canal Dehiscence (SSCD) is a well-established cause of PT. The superior semicircular canal is one of three canals involved in the controlling our sense of balance. The top of the canal is usually covered by relatively thin layer of temporal bone. Sometimes, this bone cover is missing and the fluid in the canal may thus be exposed to the fluctuations of pressure of cerebrospinal fluid, flow in regional vessels such as the superior petrosal sinus, etc. Fluid can also leak, causing more severe symptoms. It is critical to understand that PT is very rarely the only symptom of SSCD. 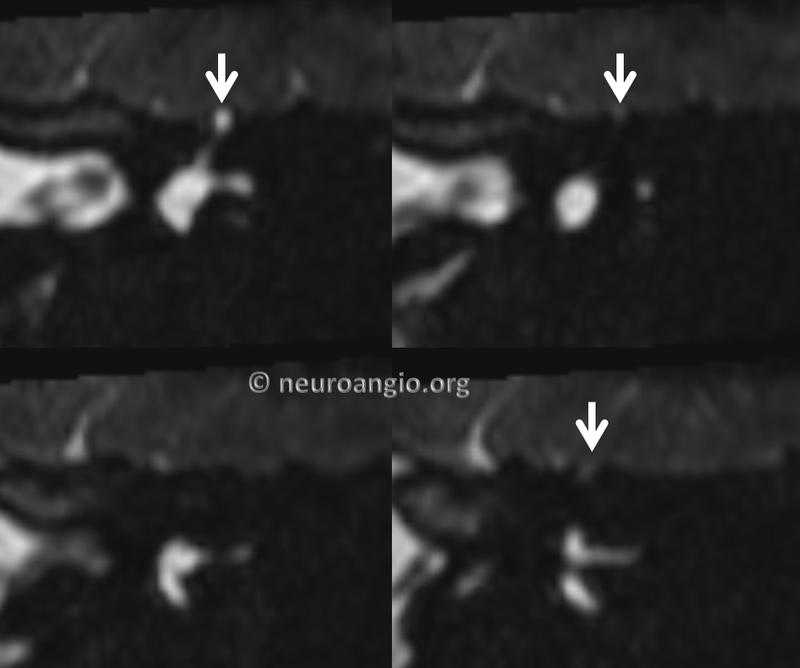 Most of the time, there are other issues — notably Tulio Phenomenon — noise-induced vertigo. Imagine if someone yelled or slammed the door and suddenly you were as vertiginous as if you were back in childhood and spinning around to see how long it would take to fall. Or you lived in New York City and someone honked the car horn every 2 seconds. It’s a weird and thus more specific symptom for SSCD. In fact, most people with SSCD either do not have PT. In other words, you need an expert ENT or neurotologist to evaluate everything. 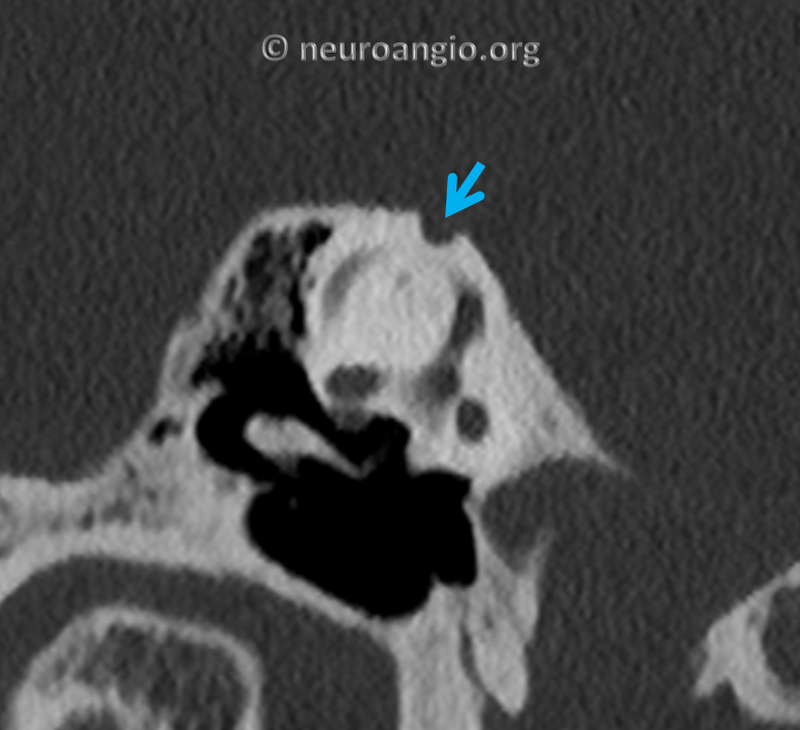 The way to diagnose SSCD is by temporal bone CT scan. Also known as T-bone CT. Noncontrast. 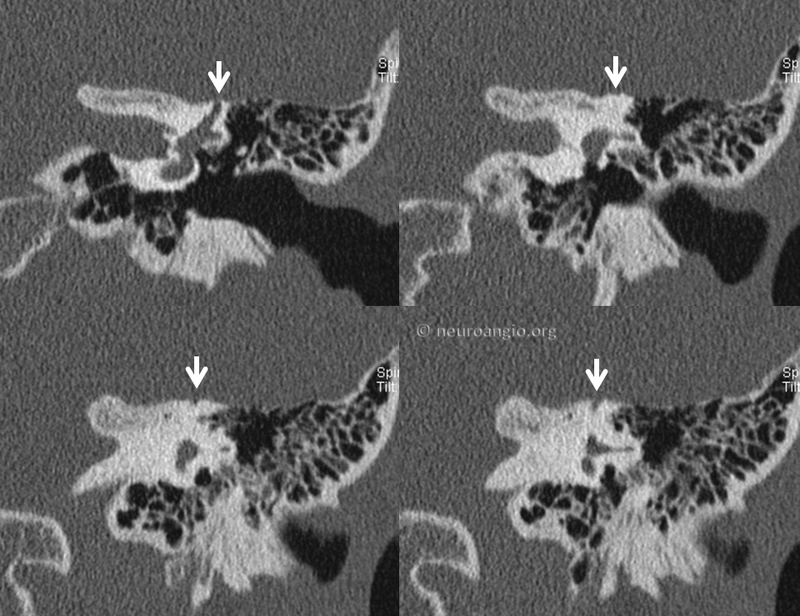 It is one of several causes of PT to be appreciated on a T-bone CT. Others include glomus tumors (glomus tympanicum, glomus jugulare), otosclerosis, and jugular plate dehiscence. Although we start with MR imaging for PT, T-bone CT is often useful depending on other symptoms. It is quick, requires no contrast, and the amount of radiation is minimal. 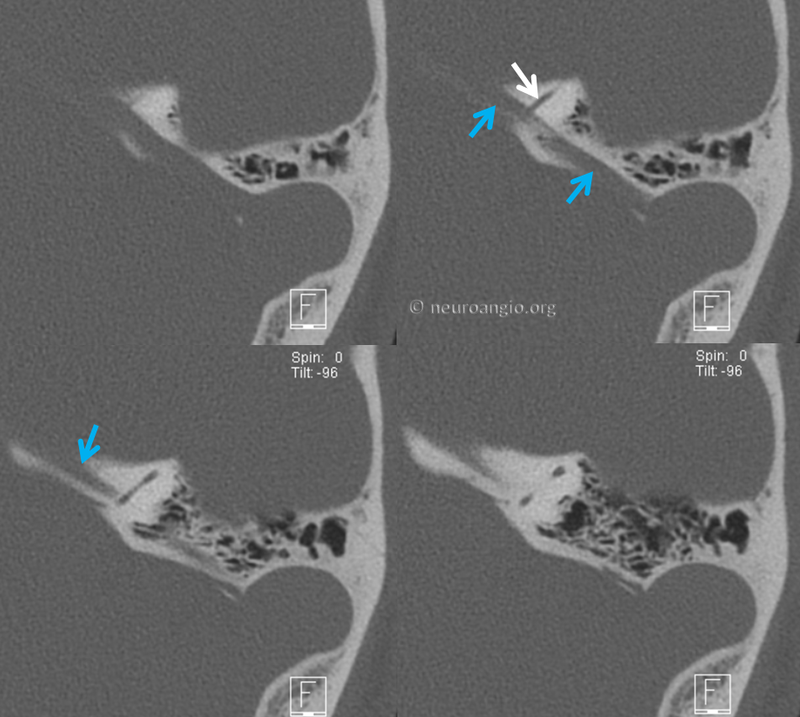 Here is a typical SSCD image on a temporal bone CT. The area of dehiscence is marked by white arrows. 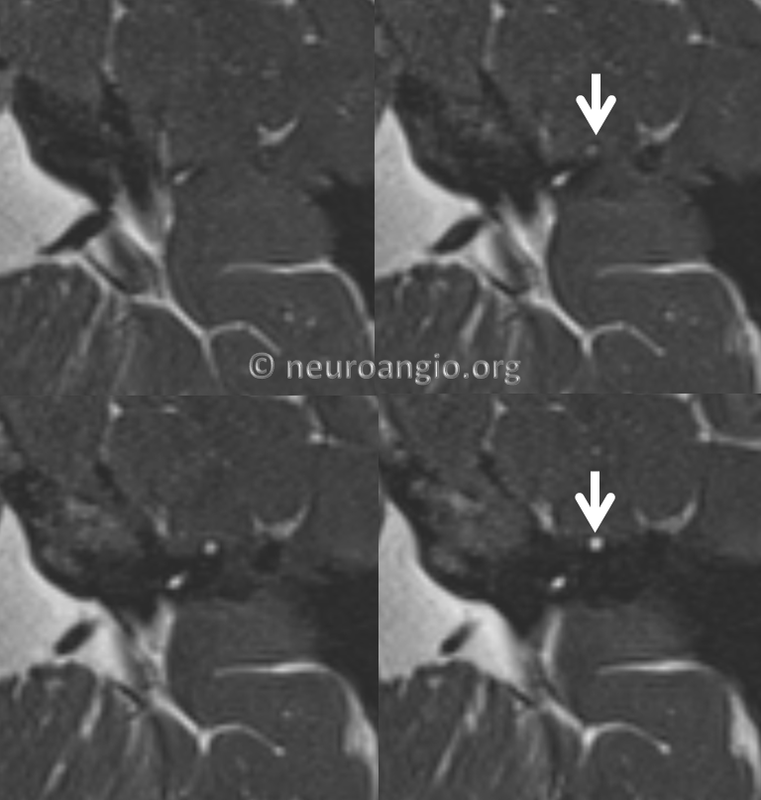 MRI is not as good as CT to show SSCD. Until recently it lacked spatial resolution. However, MR continues to get better and better. A high-resolution volumetric T2-weighted sequence such as CISS, in a modern magnet with a cooperative patient who holds still can do very nice job. 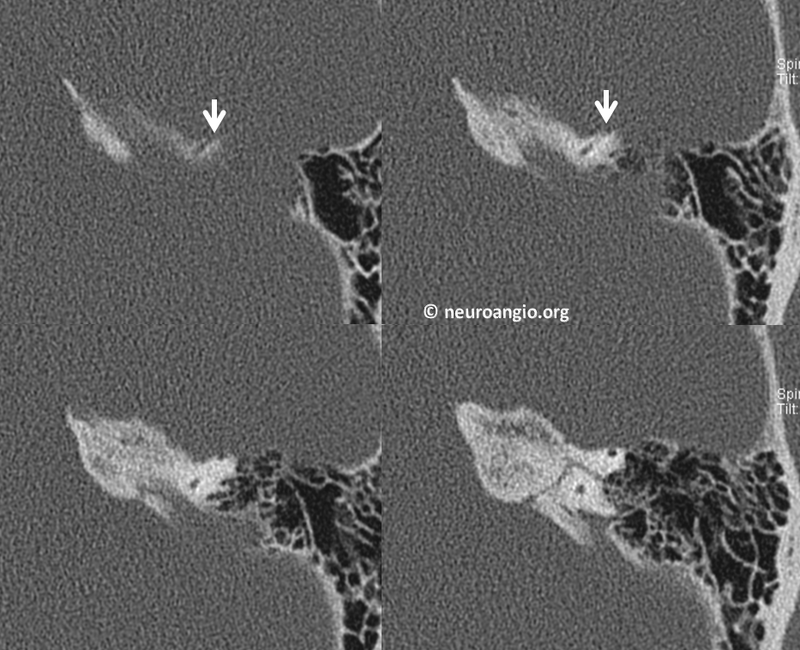 Here are the images of the same patient. The canal is a the bright circle shown by the arrow. Bone is black on MRI. It is missing on the top of the canal and the canal sticks out into the area of adjacent temporal lobe tissue. CT Temporal bone. 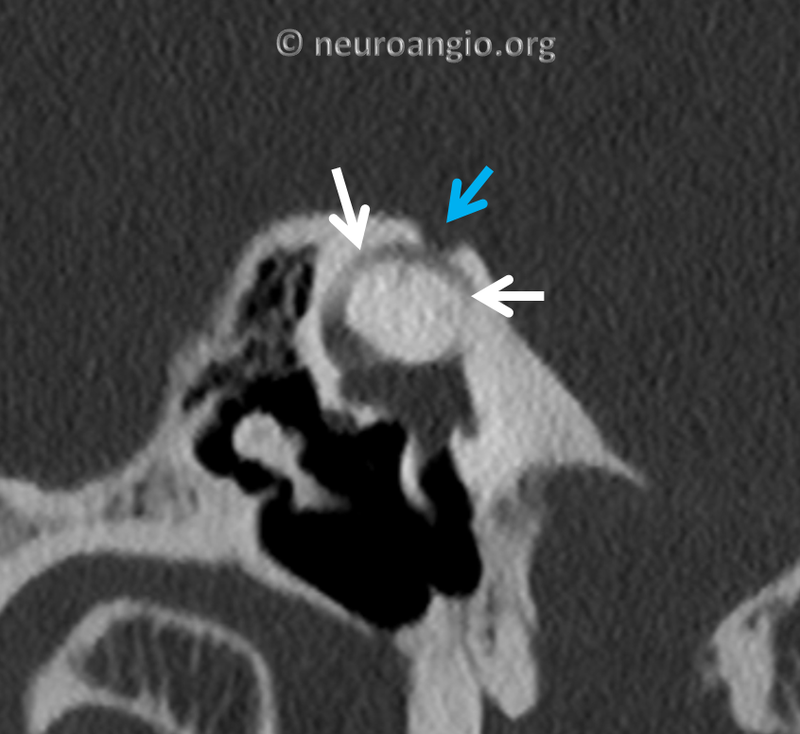 The superior petrosal sinus is the long tube marked by blue arrows. Superior semicircular canal is white arrow.